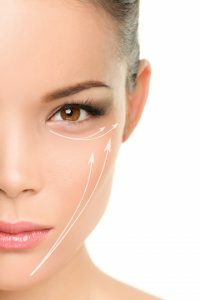 Our experienced facial plastic surgeon Ali Sepehr, MD understands that patients typically are very motivated to learn about a desired cosmetic procedure, and he looks forward to the opportunity to provide an informative resource on the latest techniques and most popular aesthetic enhancement options available. To this end, he recently had the pleasure of authoring an article for the Cosmetic Town Journal, a website dedicated to educating people considering aesthetic rejuvenation and to introducing them to qualified surgeons in their area. Dr. Sepehr is a spotlight doctor for the site, offering advice and information on a wealth of topics, including the Lifelong Lift™ facelift. In this latest piece, Dr. Sepehr discusses the benefits, procedure experience, recovery period, and typical results of the Lifelong Lift™, an innovative enhancement technique that can offer a longer-lasting outcome than most other modalities with a similar purpose. He goes into great detail about what patients can expect from the Lifelong Lift™, including what makes this approach different and often more successful than traditional facial rejuvenation methods, including dermal fillers and traditional facelift. For instance, the Lifelong Lift™ addresses the deeper tissues of the lower face as well as the neck region for more comprehensive and lasting rejuvenation. He also covers a number of candidacy requirements, potential risks, recovery time, and average cost. This information can prove immeasurably useful for individuals studying their options prior to scheduling an initial consultation with a board-certified facial plastic surgeon. Finally, Dr. Sepehr also shares his recommendations for how to approach the process, including finding a surgeon who is highly trained and makes the patient feel comfortable with his or her decision. For more information about the Cosmetic Town Journal article and the Lifelong Lift™ procedure, or if you would like to schedule a consultation with Dr. Sepehr, please contact our office today.